It is believed the Saltmen were working in a mine over 1700 years ago when it collapsed on them. Wikimedia CommonsThe head of Salt Man 1, on display at the National Museum of Iran. 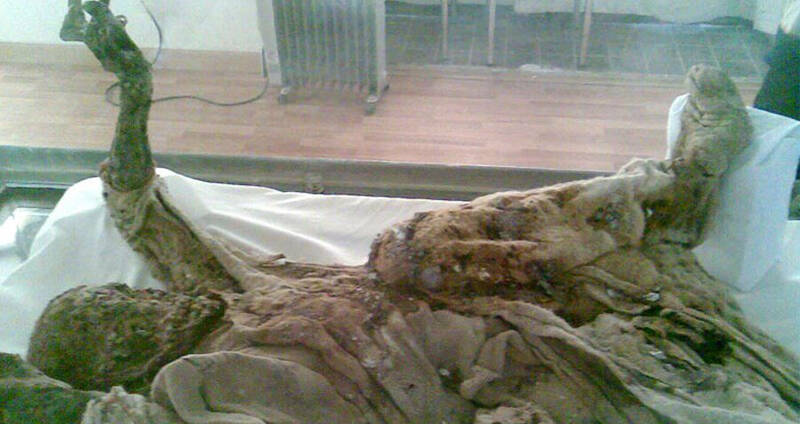 In 1993, miners at the Chehrabad Salt Mine in the Zanjan province of Iran discovered a body. Clearly a man, the body had flowing white hair and a beard and was sporting a single gold earring. Though he didn’t initially appear that old, carbon dating showed he had died in 300 A.D. The man had likely died from being crushed by a rock collapse, and his body had been effectively mummified by the dry salinity of the air. Unlike Egyptian mummification practices, where the body was wrapped in fabric and coated in preserving oils, the salt mummy was preserved naturally. The salt from the mines leeched the moisture from his skin, leaving behind his dried remains. Due to the lack of fresh air, and the layers of salt in the mines, the body had gone undisturbed for centuries, and was extremely well preserved. He is now the first of a group of preserved bodies found in the mine, known as the Saltmen. 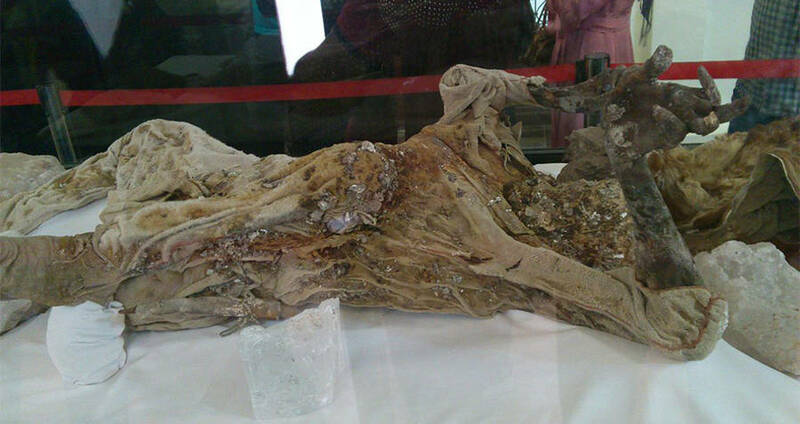 Wikimedia CommonsThe body of Salt Man 3, on display at the Archeology Museum in Zanjan. Since the first salt mummy was discovered, five more have been found, all within the same area as the first. The second was discovered in 2004, only 50 feet from the first one. Two more were found in 2005, and two more in 2007 — one of them a woman. In 2008, mining practices were halted, and the mine was declared an archeological site, allowing researchers full access to the salt mummies. The finds quickly became important ones for Iranian archeologists, as they offered insight into historic mining practices, as well as natural mummification. The find also offered new information on the ancient men’s diets. Because the bodies were so well preserved, some of their internal organs were still intact. Researchers were even able to find remnants in the 2200-year-old mummy’s stomach that contained tapeworm eggs, signaling that his diet was high in raw or undercooked meat. It also provided the earliest evidence of intestinal parasites in Iran. Along with the bodies, the salt also preserved the artifacts that were with them when they died. Researchers were able to recover a leather boot (with a foot still inside), iron knives, a woolen trouser leg, a silver needle, a sling, leather rope, a grindstone, a walnut, pottery shards and patterned textile fragments. Of the six mummies discovered, four of them are currently on display. The Archeology Museum, in Zanjan, is home to three of the men and the woman, as well as some of the artifacts. 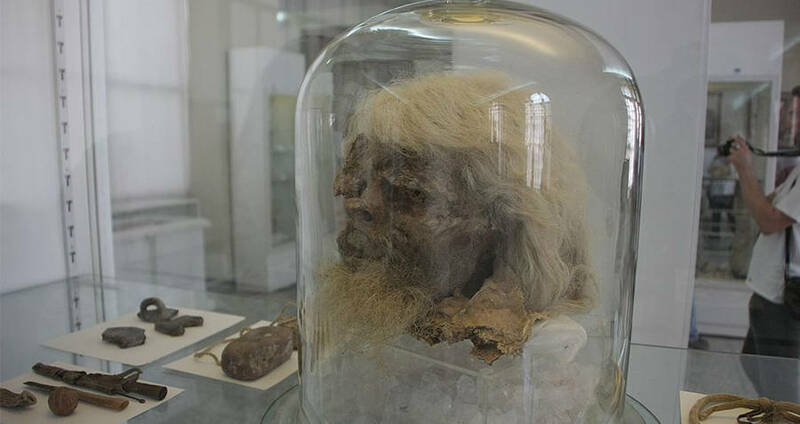 The original salt mummy’s head and left foot are on display at the National Museum of Iran, in Tehran. Wikimedia CommonsAnother salt mummy, on display at the Archeology Museum. The bodies are all displayed in the positions they were found. The sixth salt mummy to be discovered remains in the mine, as he was too fragile to remove. Researchers don’t believe the Saltmen all died together, though they do share some similarities. The first man found probably died around 300 A.D., while the oldest body found dated back to 9550 B.C. They also believe that there could be more mummies in the mine. Though six whole bodies have been accounted for, detached body parts have also been found. Some of them were initially believed to be part of a single individual, however, they are actually from different bodies. The number of potential Saltmen bodies is now believed to be eight or more. Enjoy this article about the Saltmen of Iran? 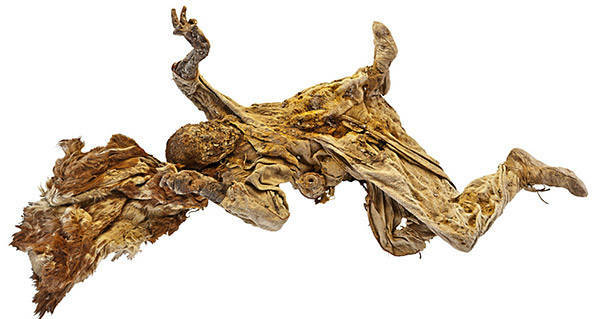 Next, read about more natural mummies, the bog bodies of Europe. Then check out Xin Zhui, Lady Dai, one of the most well-preserved mummies in the world.